Farrow & Ball are just one of the names we work with on both domestic and commercial projects for our clients, and we are delighted that they have recently revealed nine eagerly anticipated new colours as part of their specialist range of paints. The new shades include a warm, muted rose, an elegant but grounded blue, and a calming dark grey-green, along with other carefully selected bold and muted tones. The range includes a palette of 132 colours in all, along with a variety of finishes, with something for every space. To discover more about each of these exciting new colours, take a look at the Farrow & Ball website, where you’ll find suggestions on how to combine them with other shades to create just the mood you’re looking for. If we can be of any assistance with your upcoming plans, we would be delighted to hear from you. To receive free advice and a no-obligation quotation, please contact us on 01539 735 960 or email info@differentstrokes-kendal.co.uk. If you follow us on social media or have seen us carrying out external work around the area, you may have noticed that we regularly use our own cherry picker to help us achieve the best results, even in highest or most difficult-to-reach places. We also provide cherry picker hire for your own projects too. Our platform comes with an 18-metre reach, and both engine and battery power. In addition we provide delivery, set-up and training, and insurance is included in the hire price. For further information or to arrange a booking, contact us on 01539 735 960 or email info@differentstrokes-kendal.co.uk. The summer holidays have once again seen us busy carrying out works at a number of local schools, where we have been transforming interiors and exteriors to tight deadlines in order to complete for the beginning of term. We were delighted to receive feedback from one of our clients to say that the project we have been working on has been the best job they have had done at the school. Pictured below are some of the external areas we completed for one school, using our cherry picker to access high and difficult-to-reach tasks. We're recruiting decorators and apprentices! Different Strokes are currently on the lookout for decorators and apprentices to join its successful team, working on a variety of projects across the North West. 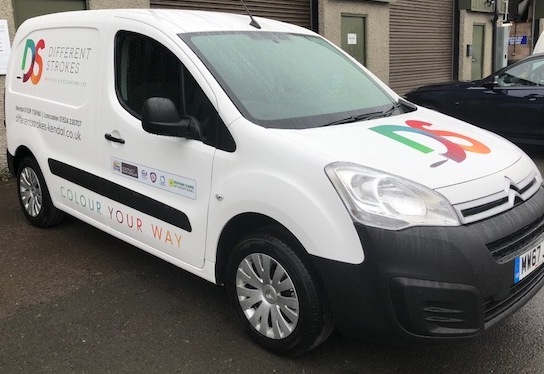 We are delighted to have employed several excellent decorators recently, including members of staff who have worked for us previously and spent time elsewhere in the industry. If you are looking for an exciting new role and would like to find out more, please contact Robert Crawford on 01539 735 960. 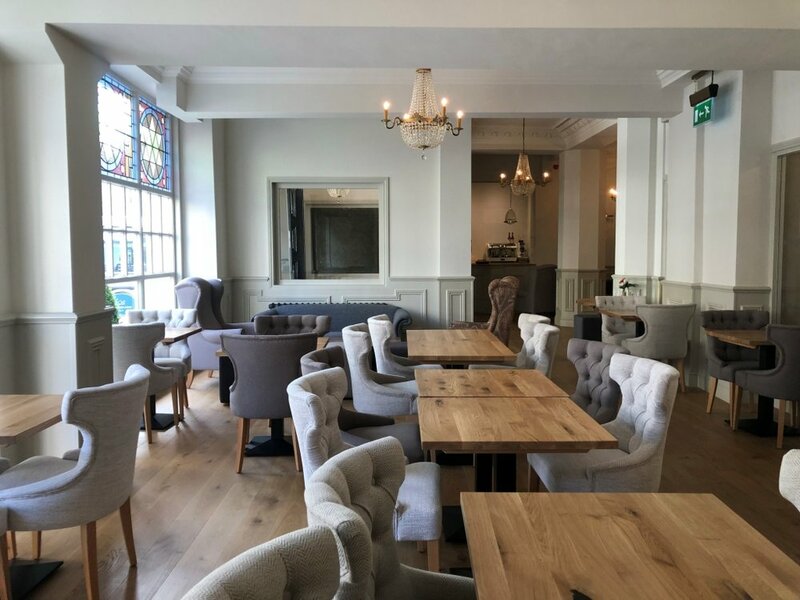 Different Strokes regularly carries out projects for businesses in the hospitality industry, and has recently completed work for the Royal King's Arms Hotel - one of the largest hotels in Lancaster, and a grade II listed building - as part of its major refurbishment. 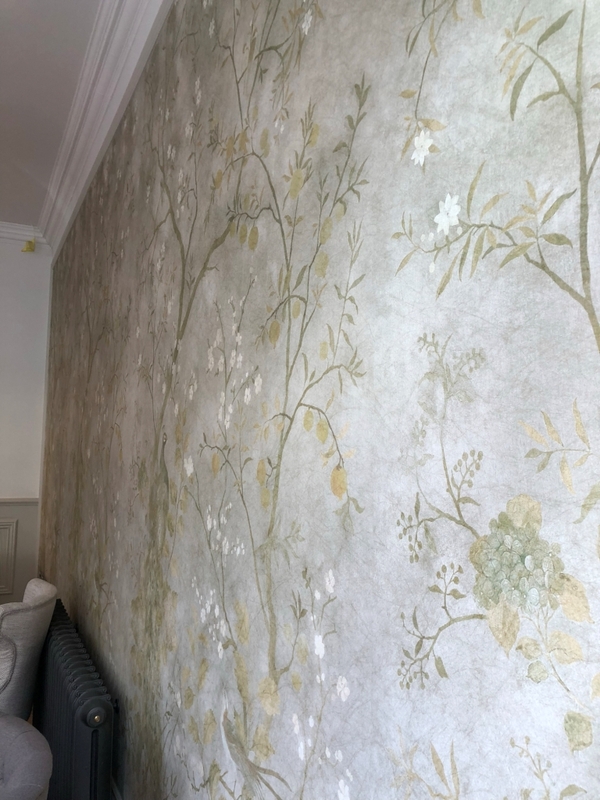 We were originally selected to carry out painting and decorating to the ground floor of the building, and have completed long hours alongside other trades to meet deadlines, whilst being careful to take into account the needs of the hotel's guests. Working closely with the interior designer, builder and hotel staff, we have since been asked to decorate the staircases and other higher level areas, which we look forward to beginning shortly. 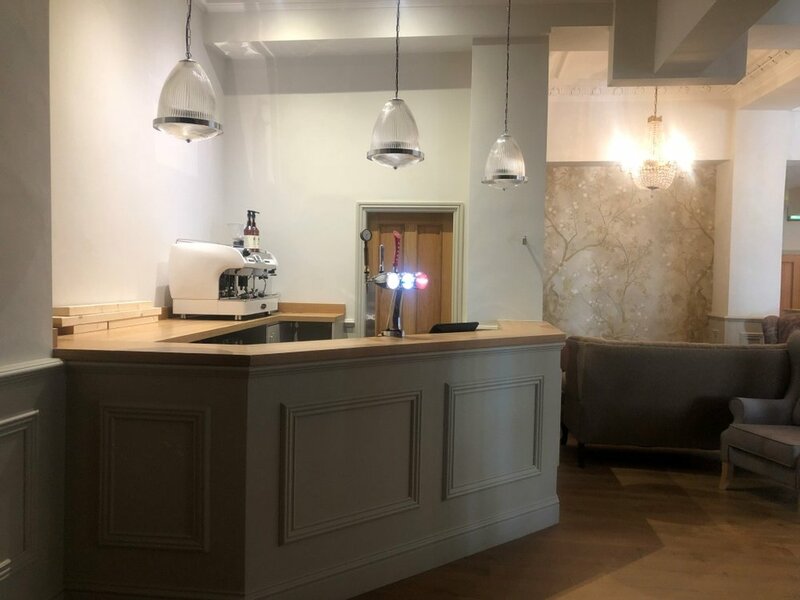 If you're planning a hospitality refurbishment in the near future and would like to discuss your needs further, please contact us for advice and a free quotation on 01539 735 960 or email us on info@differentstrokes-kendal.co.uk. We recently completed our first major external project this year, Cote How, a busy wedding venue in Rydal. The work was carried out early in the season as it could not be scheduled at any other time, and we allocated a larger than usual team so that everything was completed as quickly as possible. Access was erected, and we also used our own cherry picker. We identified all rotten wood, washed down the algae, and prepared all areas, including scraping back all gutters and lower surfaces. These were primed, and we then applied suitable paints for a long-lasting finish. We always aim to be as flexible as possible in order to accommodate our clients' needs and timeframes. If we can be of any assistance, please do not hesitate to contact us for advice and a free quotation on 01539 735 960 or email us on info@differentstrokes-kendal.co.uk. We are pleased to have secured a five-year contract for property repair and painting at Helm Lodge, an estate comprising 33 exclusive homes and a Grade II listed Mansion House in Kendal. We proved successful against others due to our past experience, attention to detail, health and safety awareness and reputation, and look forward to delivering a first class service and long-lasting maintenance cycle. Many of the projects that we work on inevitably require more than one skill set, which is why, in addition to our painting and decorating services, we provide a full range of woodwork repair solutions too. We have been carrying out restoration and conservation for landlords and organisations such as the National Trust for the last 15 years, and employ our own fully-qualified joinery staff, including specialist craftsmen trained in the use of Repair Care products and methods. We find that our customers really appreciate this extra service when faced with the headache of a project that would otherwise need to be completed by multiple tradespeople - especially where tight timescales are involved in a commercial situation. We are regularly asked to carry out rotten wood repairs to a host of areas and features, including windows, doors, fascias and barge boards, balconies, and staircases. And however poor the condition, our customers are often amazed at just how we are able to preserve the original look and character of their property. For example, we can restore sash windows so that they are both attractive and fully functional - even those that are currently rattling and draughty, or painted over and inoperable. This prevents the need to substitute for PVC, which might not look quite right on an older property, and is much more cost-effective than fitting new wooden replacements. Finally, we rebuild all your joinery at your home or premises, so there is no need for us to remove windows, doors, glass or fittings (good for maintaining security), and no disturbance to internal decoration or external finishes. All our work comes with a long life and is fully guaranteed. If you would like further advice on how we can help repair, restore and conserve woodwork that is causing you concern, and for a free, no-obligation quotation, please contact us on 01539 735 960 or email us on info@differentstrokes-kendal.co.uk. The kitchen is often regarded as the heart of a home, so if yours is starting to feel a little tired and dated, Different Strokes can provide a kitchen makeover without the hassle and expense of a full kitchen refit. We recently completed this kitchen project for one of our clients, transforming the look of the kitchen cupboards from natural, aged wood to a modern painted finish. We carefully masked and cleaned all the surfaces, lightly sanded, and applied shellac primer followed by two coats of satin oil paint. Once the new handles were fitted and adjustments made to the doors, the kitchen looked like new. We also painted the banister rail elsewhere in the house to give a sharp contrast, which worked really well, and the client was delighted. If you’re considering a home decoration project or kitchen makeover of your own in the near future, we can offer advice and a free quotation - call us on 01539 735 960 or email info@differentstrokes-kendal.co.uk and we'd be delighted to help. Fjällräven in Ambleside is now ready for its upcoming opening event and a busy summer season ahead. 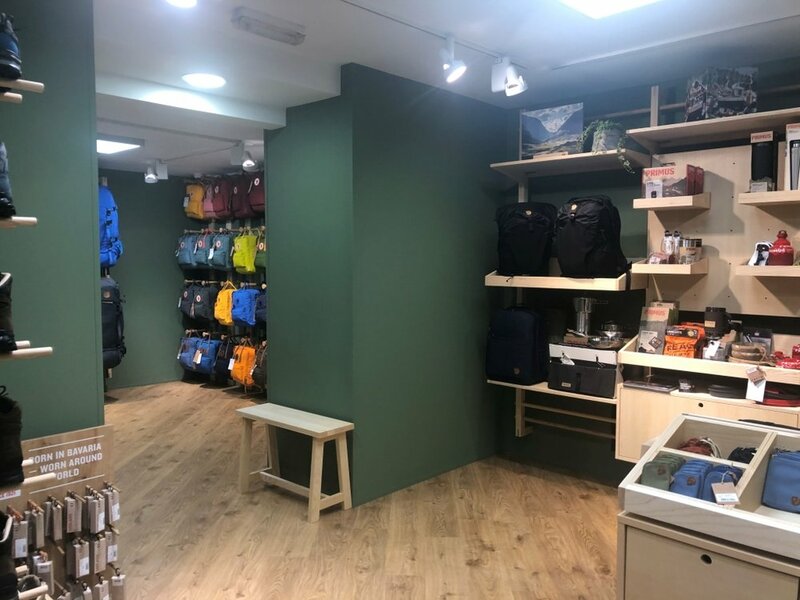 Our team of decorators meticulously applied the specified Farrow and Ball paint, achieving a gorgeous flat and cool, calm finish to complement this high-end outdoor clothing brand.